As FileMaker developers, we are always interested in learning new tools and tricks to take a database to the next level. 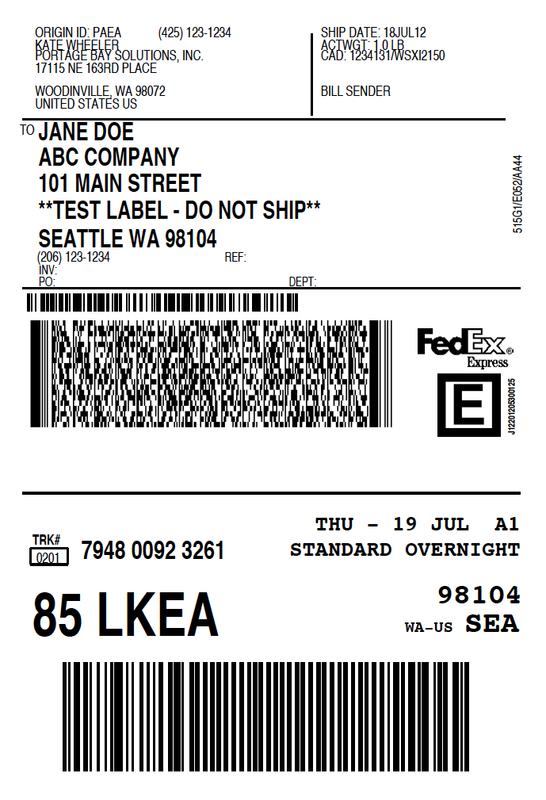 Recently we worked with a simple way to generate FedEx shipping labels from within FileMaker. By using a 3rd party plugin and FedEx web services, this functionality is easily available in any FileMaker solution. We started by using the module for accessing FedEx Web Services that is a part of the ScriptMaster plugin from 360Works. Designing and implementing this tool is pretty simple. The first requirement is to sign up for a FedEx developer account. Next is to install the ScriptMaster plugin on each computer connecting to the database. And lastly to create a button with one script step to generate the label. 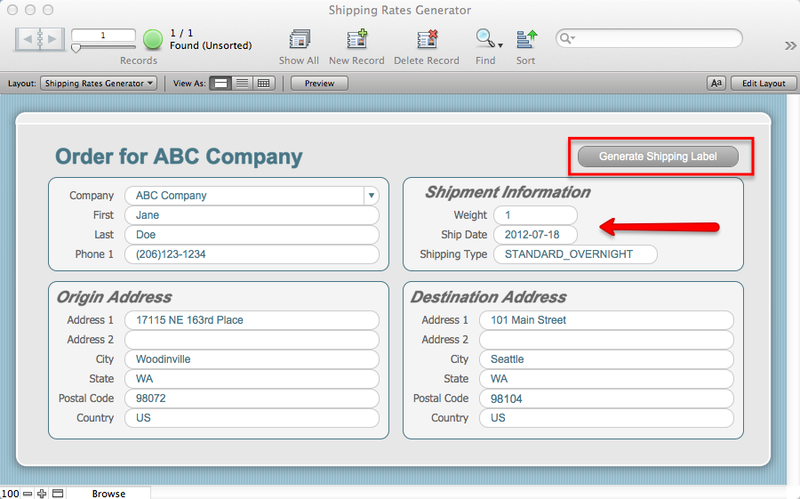 The screenshot below shows our sample database that generates the shipping label. The interface allows entry of all the required information for FedEx; shipment method, shipment date, weight, origin address and destination address. Once all fields are complete, clicking the "Generate Shipping Label" button will produce the FedEx shipping label and save it to your computer as a PDF.